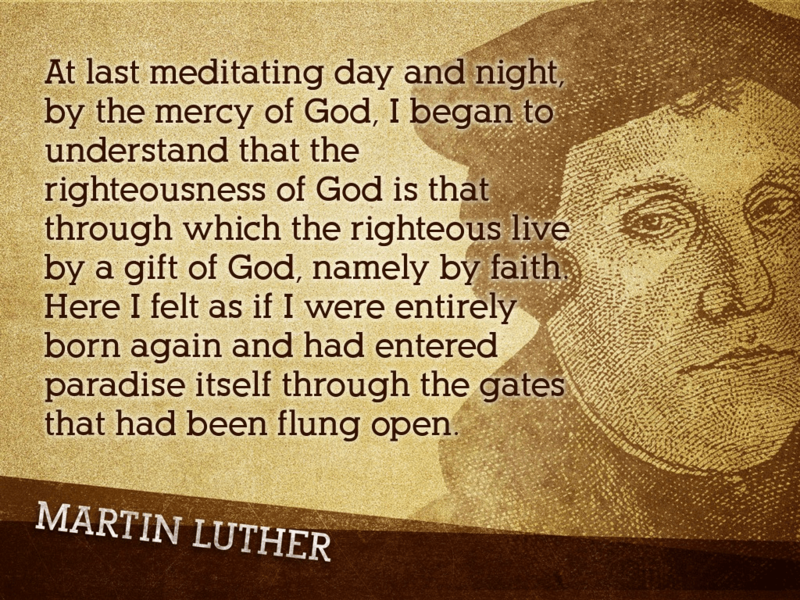 Luther did not give up, but moved beyond his disappointment to what was to its very center, and he simplified the message of God’s Word to what mattered most of all. There are four basic truths, said Luther. The first is FAITH alone, not subservient obedience to an impossible code of Law. The second is GRACE alone, and not buying this piece of paper or trinket to reduce your time in purgatory. Third is God’s WORD alone, and not the layers of false teaching and corruptions piled on by fifteen centuries of councils and popes and decrees, which Luther pointed out contradicted each other time and again. Now everyone, even the common person, should go back to God’s WORD alone. Therefore, along with everything else he accomplished, Luther translated the entire Bible into German, which had not only not ever been attempted, but which had been strictly forbidden. And fourth, at the center of it all was CHRIST alone, the kind and loving face of God, sent to live for us and to be an example for us, and finally to die give his life for us. It was by his shed blood we were saved, and not by contributions to the church in Rome. Luther remained faithful to the Holy Roman Catholic church, seeking to reform it, until he was thrown out and excommunicted. Even then, he continued to remain faithful to the church, which was, as he now said, wherever God’s Word is taught in its truth and purity. Even that church continued to disagree, fight, torment and disappoint him– but Luther’s faith was no longer in the church. He would go to church, he would lead the church, and he would love and serve the church—but his faith was not in the church, but in Jesus. 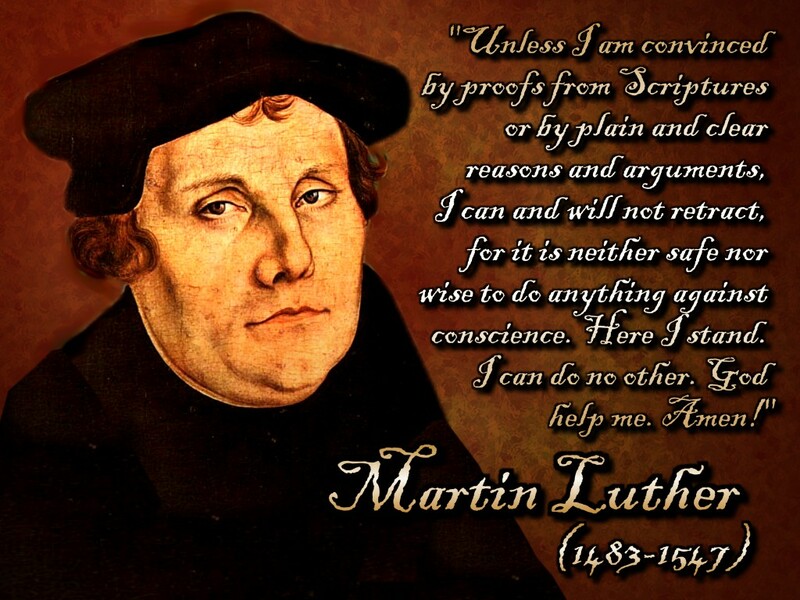 That is one powerful lesson for all of us from the Reformation and the life of Martin Luther. The church and those who serve in it is God’s way of working in the world, and we learn and grow in faith and love and obedience by working within it. But we must always remember that the church is here only to point us beyond itself, to our Lord and Savior Jesus Christ. Today we celebrate, among other things, the 500th anniversary of Martin Luther reminding us of that fact. I Corinthians 2:1-5 — When I came to you, I did not come with eloquence or human wisdom as I proclaimed the testimony of God. Rather, I resolved to know nothing among you except Jesus Christ and him crucified. I came to you with weakness and great fear and trembling. My message and my preaching were not with wise and persuasive words, but with a demonstration of the Spirit’s power, so that your faith might not rest on human wisdom, but on God’s power. Luther was sent from his monastery in Germany to Rome with a message. This unexpected opportunity that Luther hoped might inspire him, only deepened his despair. There he saw first-hand the awful corruption of the church. This Holy City had become a place of immorality worse than Sodom and Gomorrah, and the church had become obsessed with making money. Priests were selling Christ’s precious forgiveness of sins to the common people, who had no idea what the Bible said about anything. Prostitutes were everywhere, and bishops and cardinals were openly living in sin, fathering illegitimate children all over the place. Luther left Rome disgusted, angered, and even more depressed. Imagine how disappointed Luther must have been. This twenty-something, intense, and deeply religious young man sacrificed everything to serve God and the Holy Church. If it hadn’t been for that thunderstorm, by this time Luther could have been living a wonderful life of wealth, honor, and prestige, with friends and family around him. But he sacrificed all that, only to find a God that he could not love and a church that made him sick. What a devastating disappointment! Have you ever been disappointed by the church? We have recently surveyed our congregation, and we learned that there is a high level of satisfaction in our church at this time, and what a blessing that is. We all know that it is not always that way in the church. The survey also revealed that many people say our congregation feels to them like a family—and that is a great blessing. But we all also know that families fight sometimes. And that has happened here– and at every other church that has ever existed. Church can be a blessing and church can be an affliction— there is that mixture here just like in every other aspect of life in this world. Martin Luther was disappointed by the church in some dramatic ways. Our disappointments may come in less dramatic ways. If you get involved in serving God in the church, as a pastor or as lay person, you may, at times, find yourself being overworked, underappreciated, and misunderstood. You might also be unfairly criticized, accused by some as being too strict and judgmental, and by others as being to wishy-washy and unable to tell it like it is. And you will also find that even the best people in the church often have very different agendas, are not always on the same page, and sometimes not even in the same book. For some unknown reason, God has given people like us the task of getting his Word out to the world. And sinners that we are, we will frustrate and disappoint each other. What should we do then? What did Luther do? I’ll return to that in a moment, but first another question. Have you, like Luther, ever been disappointed by God? Luther left everything, and then, the more he learned about God, the more he hated God. Have you ever really dug into the Bible to get all your questions answered,only to end up with more questions than you started with? Have you ever been faced with a situation that made you pray like you never prayed in your life; and you did not get what you asked for? Have you ever wondered what God is up to in your life and why things happen the way they do? Do you have that all figured out yet? And if not, do you get disappointed with God? And what do you do then? What did Luther do? Jeremiah 20:7-9 (Jeremiah expresses his disappointment with God) — You deceived me, Lord, and I was deceived; you overpowered me and prevailed. I am ridiculed all day long; everyone mocks me. Whenever I speak, I cry out proclaiming violence and destruction. So the word of the Lord has brought me insult and reproach all day long. But if I say, “I will not mention his word or speak anymore in his name,” his word is in my heart like a fire, a fire shut up in my bones. I am weary of holding it in; indeed, I cannot. Jeremiah 15:18 — (again expressing his frustration with God) Why is my pain unending and my wound grievous and incurable? You are to me like a deceptive brook, like a spring that fails. II Corinthians 1:8-10 — (Paul describes his hardships serving the church) We do not want you to be uninformed, brothers and sisters, about the troubles we experienced in the province of Asia. We were under great pressure, far beyond our ability to endure, so that we despaired of life itself. Indeed, we felt we had received the sentence of death. But this happened that we might not rely on ourselves but on God, who raises the dead. He has delivered us from such a deadly peril, and he will deliver us again. On him we have set our hope that he will continue to deliver us. Five hundred years ago this week, on October 31, 1517, Martin Luther posted on the church door in Wittenberg, Germany, a list of 95 theses, or statements, he believed needed to be discussed and debated by the Holy Roman Catholic Church, of which he was a loyal and faithful monk, priest, and professor. To post such statements on the church door was the usual way to initiate a discussion in that university town, similar to writing a letter to the editor today. Much to Luther’s surprise, the bishops, cardinals, and pope were not interested in such a discussion. Instead, they told him to keep his big mouth shut or he would be sorry. And in those days, being in trouble with the church also meant being in trouble with the government, namely Charles V, the Holy Roman Emperor, ruler of all central Europe. Luther had many reasons to keep his big mouth shut; but he would not keep quiet. Even though Charles and Pope Leo tried to have him killed, Luther kept speaking and writing. The abuses in the church he condemned were well known, people were ready for reform, and Luther quickly became one of the most famous men in Europe. The Gutenberg press had just been invented, and Luther’s books and pamphlets were instant best sellers. At one point, one-fourth of everything in print in all of Europe was by Martin Luther. The Reformation he started 500 years ago this week changed not only the church, but the whole world. He is usually listed in the top three of the most important people of the last one thousand years. Let’s back up a little. At one time there was only one Christian denomination—the Roman Catholic Church, with its center in Rome. The word catholic, small ‘c’, means universal (that’s why it is in our creed even though we are Lutherans). And, for 1,000 years the Roman Catholic Church was universal, with every Christian on earth belonging to it. In 1054 A.D. there was a split in the church between East and West—the church in Eastern Europe, Russia, and some of North Africa split off from Rome and became the Eastern Orthodox Church—Russian Orthodox, Greek Orthodox, Coptic, etc.. From then on, Christianity has been divided. But the church in central and western Europe remained united for another 450 years. In the 1400’s, this Roman Catholic Church began to crack apart again. Many aspects of the church had become very corrupt and unbiblical, and people began to speak out against it. This was before the days of free speech, and dissenters were routinely burned at the stake, or, put to death in some other unpleasant way. The church, with help from the harsh medieval government, was able for a time, to snuff out these isolated calls for reform. But in 1483 Martin Luther was born into a world ripe for change. God gave him a brilliant mind and a courageous spirit, he was born into a favorable local political environment which protected him from arrest and execution, people were fed up with the church after six terrible popes in a row, and the printing presses were rolling. And God used that man and that moment in time to change everything. The Roman Catholic Church itself corrected many of its abuses in the decades and centuries after the Reformation, and it is a far different church today. But all will admit that the church was an outrageous mess in 1517. There are many ways to tell the story of the Reformation. This is just a very little bit about a very big and very complex history. But I want to focus on Martin Luther’s personal story, and describe a bit of the inner struggle that led him to take on the whole world. I do this not only as a history lesson, but to eventually get around to the words of Jesus in John 3:16-17 that began this meditation. It was not the lifelong dream of Martin Luther to become a monk and a priest. He had originally intended to be a lawyer, which made his father very happy. Lawyers made good money, Luther was a brilliant student, and he was on the verge of a promising and lucrative career. Then, while walking on a country road one night, he got caught in a thunderstorm. It must have been a violent storm, because Luther feared for his life. In his anxiety, he prayed, promising that if God spared him, he would become a monk. Luther survived storm and kept his promise. 1661) Lights Out, or, An Eternal Promise? Sometimes I think back to the days when I was convinced there was no God. I would lie awake at night and think about the ultimate hopelessness of life. I believed that when we die, that’s it. Lights out. There’s nothing more. Those defense mechanisms may make people feel better, but they don’t change the reality that death still plays a perfect game: one out of one ends up dead. And death has an annoying habit of being completely unpredictable. I was talking about the inevitability of death with a computer salesman named Jeff Miller, who attended our church. He told me about a fateful flight he had taken from Denver to Chicago. About forty minutes before they were to land at O’Hare International Airport, there was a muffled explosion, and the plane swung to the side so violently that the book Jeff was reading flew out of his hands. As it turned out, the engine in the tail had exploded, and the plane’s steering was severely crippled. As the plane made the approach for an emergency landing in Sioux City, Iowa, it became clear that the situation was desperate. Jeff told me that some of the people around him began trembling and crying from fear. Others put on an air of optimism and kept telling themselves there was nothing to worry about. But Jeff, who had been a Christian for several years, spent the time praying a simple prayer that was anchored in hope. He said, “Thank you, Lord, that you’re mine and I’m yours. God, I want to live, but I know if I don’t, I’ll be with you, and you’ll care for my family.” Jeff had a confident expectation that God would fulfill his promises to him. You may have seen the video of that plane when it scraped awkwardly onto the runway, broke apart, cartwheeled, and exploded into orange flames. Jeff braced himself for a violent death, but it never came. His piece of the fuselage tumbled into a cornfield, where it came to a stop, upside down. Jeff hung there, suspended in his seat, with not a mark on him. How we face death tells us a lot about how we’ll face life. The Bible says that because followers of Christ have the hope of eternity, they can live their lives with boldness and strength. When you have the confident expectation that God will live up to his promises, it changes the way you think about death. I know it has for me. My prayer is that, moving ahead, you’ll base your hope not on wishful thinking or any of the other counterfeit versions, but on the One who has the power to truly change your life and assure your eternity. Psalm 118:6a — The Lord is with me; I will not be afraid. Romans 14:7-9 — None of us lives to himself alone, and none of us dies to himself alone. If we live, we live to the Lord, and if we die, we die to the Lord; so then, whether we live or whether we die, we belong to the Lord. For to this end Christ died and lived again, that he might be Lord both of the dead and of the living. Philippians 1:20-25 — I eagerly expect and hope that I will in no way be ashamed, but will have sufficient courage so that now as always Christ will be exalted in my body, whether by life or by death. For to me, to live is Christand to die is gain. If I am to go on living in the body, this will mean fruitful labor for me. Yet what shall I choose? I do not know. I am torn between the two: I desire to depart and be with Christ, which is better by far; but it is more necessary for you that I remain in the body. Convinced of this, I know that I will remain, and I will continue with all of you for your progress and joy in the faith. United Airlines Flight 232 crash landing in Sioux City, Iowa, July 19, 1989. In what has been called one of the most amazing life-saving events in aviation history, 185 of the 296 passengers on board survived. Could our technology-filled lives be keeping our kids from knowing God and Scripture in a crucial way? I doubt anyone listening to Jesus when He said, “Consider the lilies of the field,” scratched their heads and asked Him, “What are lilies?” But it’s not difficult to imagine a modern audience asking Christ to explain His flower references. Writing at The Guardian, Robert Macfarlane spotlights a study published in “Science” by researchers from Cambridge. Using picture cards, these scientists asked children to identify common British animal and plant species like bluebells, herons, otters, oak trees, badgers, and wrens. The kids, who were between the ages of eight and eleven, couldn’t even identify half of the pictures. They were then shown make-believe creatures from the Japanese card game and cartoon series, Pokémon. 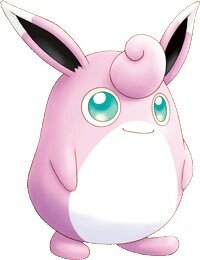 These included animated oddities like the Arbok, the Bulbasaur, and the Wigglypuff. The kids were able to identify a staggering eighty percent of these imaginary critters, by name! Now why does any of this matter? Well, because a manmade world filled with man-made creatures is a world drained of wonder. Barely three generations ago, looking up at the Milky Way was a nearly universal human experience. Now, only those lucky enough to have camped out West or spent a night at sea have beheld the stars as God created them. That’s more than just sad. It’s a worldview problem. The Bible constantly refers to nature. We first meet God in Scripture not as Savior or Father, but as Creator. The Psalmist invites us to “consider the heavens” and writes that they “declare the Glory of God.” When he compares his thirst for God to the way a deer runs toward water, most people in the modern world miss the impact of those words. They’ve never seen a deer do that. For the modern reader—especially the modern child—many of these references lack their original power. Quite simply, our isolation from nature has become isolation from God’s Word. Cocooned in our man-made world of climate-controlled homes, cars, subways, and high-rises, we’re finding it easier to live as practical atheists. I suspect even those of us who believe in the God of creation lack the wonder our ancestors felt toward Him while lost in a starry sky, or stooped beside a flower. Fortunately, the solution is as easy as stepping outside. We may have city lights and the glow of touch screens to obscure our view, but God’s world is still near at hand, even right here in New York City where I live. So for you and your kids, simple things can make a huge difference. You can instill in them a sense of awe for the natural world by visiting a community garden. Pick up books on birds or plants from the library and take the time to notice and identify each living thing. One of my favorite things about America is our breathtaking collection of national and state parks, many of which boast wonders the Psalmist would envy. Why not schedule a visit? Do not underestimate the power of these experiences. They will shape your child’s worldview and yours. And they will inspire wonder in the God of creation as no Pokémon ever could. Genesis 1:1…31a — In the beginning God created the heavens and the earth… God saw all that he had made, and it was very good. Does that sound strange? You might have an easier time believing that God tests you with stress or suffering. But think about it. You’ve seen success ruin people. The young rock star gets everything she has ever wanted and then crashes and burns. The athlete signs a big contract and then parties away his future. A business grows bigger than anyone expected, and the owner becomes reckless with expansion plans. We’ve read the stories. By Tony Reinke, at http://www.desiringGod.org, posted October 24, 2017. What the last year has made clear is that sinful men with influence and authority often take advantage of women who lack it — and it’s a problem for the most powerful elites on the right, and, a problem for the most powerful elites on the left. It is a crisis of masculinity for all. In its most infamous version, we read of the predation of King David and his misuse of his authority, and his abuse of a woman (II Samuel 11:1-12:23). What makes this entire tragedy more vivid are the detailed accounts we are given of David’s brokenness and repentance after he was “outed” for his evil. 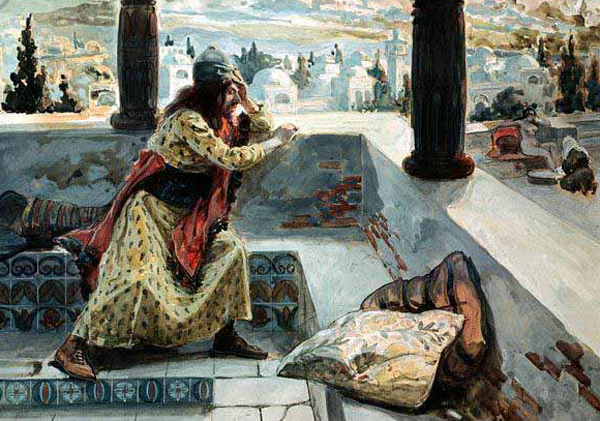 The prophet Nathan opens David’s eyes to see himself as the selfish thief of an unlawful pleasure (II Samuel 12:1-15). The moment is as greedy and invasive as can be imagined, the prototypical sin of a man that echoes in the Weinsteins of Hollywood and the conservative talkshow hosts of New York City. David was blinded by his lust from seeing this woman as a God-honoring woman. His failure of masculinity (in fact, his failure as ruler) was in failing to protect her obedience to God. And this is at the heart of our crisis of masculinity today: men whose self-centeredness cannot appreciate the holy beauty of a woman’s act of obedience to God’s call over her life. Whether it is an actress God has called and gifted to act, or a female gifted by God to sing and perform on stage, or a woman working under the authority of a powerful male boss, every woman must be protected for her obedience to God’s design for her life. Whether it’s Roman Catholic priests, powerful television hosts, Hollywood directors, male authorities in female gymnastics, or any other positions of male power, there remains a crisis of masculinity — a crisis of knowing that true masculinity is self-giving for the sake of the benefit and flourishing of others. This crisis of masculinity is an old tale — an old tragedy — since time immemorial. It plagues the left and the right. And all men would be hopelessly caught in this sin, had it not been for another King, one greater than David, who could meet a vulnerable woman at a remote well, not to take advantage of her, but to give her eternal joy (John 4). II Samuel 11:2-4a — One evening David got up from his bed and walked around on the roof of the palace. From the roof he saw a woman bathing. The woman was very beautiful, and David sent someone to find out about her. The man said, “She is Bathsheba, the daughter of Eliam and the wife of Uriah the Hittite.” Then David sent messengers to get her. She came to him, and he slept with her. Psalm 51:1-4a…10 — Have mercy on me, O God, according to your unfailing love; according to your great compassion blot out my transgressions. Wash away all my iniquity and cleanse me from my sin. For I know my transgressions, and my sin is always before me. Against you, you only, have I sinned and done what is evil in your sight… Create in me a pure heart, O God, and renew a right spirit within me. Kim Phuc (1963- ) is best known as the girl in the Pulitzer Prize winning photo of a Vietnam War napalm-bombing attack near Saigon. She now lives in Toronto with her husband and two children (in 2008). Her organization, Kim Foundation International, aids children who are war victims. South Vietnamese forces follow terrified children, including 9-year-old Kim Phuc (center) as they run down a road near Trang Bang after an aerial napalm attack on suspected Viet Cong hiding places, June 8, 1972. 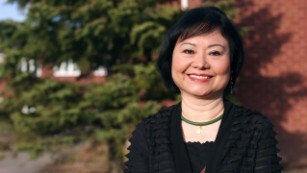 “The Long Road to Forgiveness” by Kim Phuc, with Anne Penman for the Canadian Broadcasting Co., June 30, 2008. In Christmas 1982, I accepted Jesus Christ as my personal savior. It was an amazing turning point in my life. God helped me to learn to forgive — the most difficult of all lessons. It didn’t happen in a day and it wasn’t easy. But I finally got it. Matthew 18:20-22 — Bear with each other and forgive whatever grievances you may have against one another. Forgive as the Lord forgave you. Proverbs 17:9 — The one who forgives an offense seeks love, but whoever repeats a matter separates close friends. 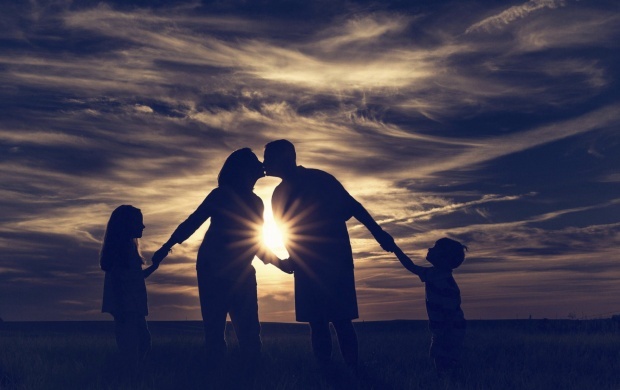 Children want to see their imperfect, dysfunctional parents dance in the kitchen, say “I love you,” pray together, kiss as they say goodbye, and speak highly of each other. Those moments of affection provide assurance to our kids – the world isn’t all bad. Things are going to be OK at home. Ephesians 5:1-2a — Follow God’s example, therefore, as dearly loved children and walk in the way of love. Philippians 4:8-9 — Finally, brothers and sisters, whatever is true, whatever is noble, whatever is right, whatever is pure, whatever is lovely, whatever is admirable— if anything is excellent or praiseworthy— think about such things. Whatever you have learned or received or heard from me, or seen in me— put it into practice. And the God of peace will be with you. Today’s meditation is another story from Standing Strong Through The Storm, a daily devotional message by Paul Estabrooks for Open Doors International. This is how the church of Jesus Christ has grown from age to age. I Peter 5:19-23 — It is commendable if someone bears up under the pain of unjust suffering because they are conscious of God. But how is it to your credit if you receive a beating for doing wrong and endure it? But if you suffer for doing good and you endure it, this is commendable before God. To this you were called, because Christ suffered for you, leaving you an example, that you should follow in his steps. He committed no sin, and no deceit was found in his mouth. When they hurled their insults at him, he did not retaliate; when he suffered, he made no threats. Instead, he entrusted himself to Him who judges justly. I Peter 5:8b-11 — Your enemy the devil prowls around like a roaring lion looking for someone to devour. Resist him, standing firm in the faith,because you know that the family of believers throughout the world is undergoing the same kind of sufferings. And the God of all grace, who called you to his eternal glory in Christ, after you have suffered a little while, will himself restore you and make you strong,firm and steadfast. To him be the power for ever and ever. Amen. Revelation 2:10 — Do not be afraid of what you are about to suffer. I tell you, the devil will put some of you in prison to test you, and you will suffer persecution for ten days. Be faithful, even to the point of death, and I will give you life as your victor’s crown.